A recognized leader in improving individual and organizational performance. PDP holds an annual awards event where we recognize our people for their exemplary work. Awardees are nominated by their coworkers through our recognition program. The submissions are reviewed by the PDP awards committee, and awardees are chosen from the nominations. The committee is made up of PDP employees. See our most recent awardees. The Telly Awards recognize the best in TV and Cable, Digital and Streaming, and Non-Broadcast Productions. PDP has received a Bronze Telly for The Pyramid Model Webseries. Addressing Challenging Behaviors: An Overview of the Pyramid Model broadcast in June 2016 and Addressing Challenging Behaviors: The Pyramid Model in Action broadcast in November 2016 familiarized NYS child care providers with the Pyramid Model, an evidence-based, multi-tiered intervention, and provided concrete strategies for supporting and promoting the social and emotional development of young children. These webcasts are currently accessible on our Early Childhood website as an ongoing resource. PDP receives a 2014 APEX Award of Publication Excellence. PDP received the award for the Youth in Progress: Need to Know Series. 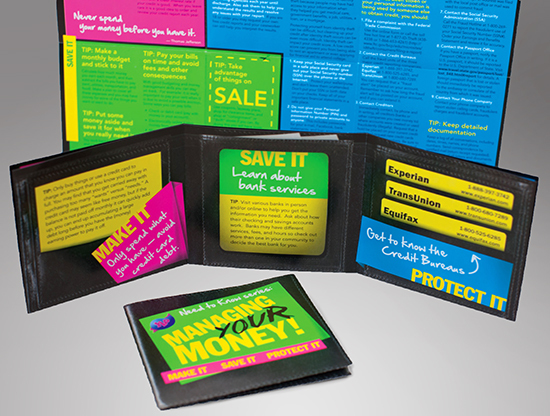 These materials provide adolescents in foster care useful information about a variety of topics including managing money, human trafficking and Native American youth in foster care. The Need to Know Series was produced and is available through the Adolescent Services Resource Network (ASRN) of Upstate New York and on the Youth in Progress website. ASRN and Youth in Progress, programs administered by PDP and funded by the New York State Office of Children and Family Services, support adolescents in preparing for successful transitions to adulthood. On April 29, the United States Distance Learning Association (USDLA) presented its 2013 International Distance Learning Awards in conjunction with the 2013 National Conference in St. Louis, Missouri. These prestigious International Awards are presented annually to organizations and individuals engaged in the development and delivery of distance learning programs. Included in the recognition ceremony were awards for 21st Century Best Practices, Best Practices for Distance Learning Programming, Best Practices for Excellence in Distance Learning Teaching, Outstanding Leadership by an Individual, Hall of Fame and the Eagle for an elected official. Professional Development Program of Rockefeller College (PDP) won a gold award in the Best Practice in Distance Learning Programming category for Passport to Partner Services, an e-learning course consisting of 15 modules. The course provides public health workers with the knowledge and skills needed to interview and counsel individuals with sexually transmitted diseases, in order to identify and inform their social contacts of their risk of infection. Using video, gaming devices, and animation, the course presents content in an engaging format and provides ample opportunities for self-assessment and practice. It has been deployed to a nationwide audience and tracks learner progress through a customized learning management system. The course was developed under a contract with the New York State STD Prevention Training Center, which is funded by the Centers for Disease Control. This is the third time PDP has entered the USDLA competition, and its third award. PDP won a bronze award in 2010 for its tobacco recovery e-learning project and a gold award in 2011 for Preventing Shaken Baby Syndrome, one of a series of online courses created for its Early Childhood Education and Training Center. "This year's USDLA Awards recipients represent the finest examples of online courses, best practices, and leadership in our field. The depth and breadth of the USDLA membership allows us to engage with leaders from higher education, K-12, industry, military, government who daily demonstrate the power of distance learning. We are so very proud and excited to be able to recognize this level of excellence," said Dr. Rob Robinson, President of USDLA. USDLA is a 501(c) 3 non-profit association, founded in 1987, as the nation's leading distance learning organization. The associationreaches 20,000 people globally with sponsors and members operating in and influencing 46% of the $913 billion dollar U.S. education and training market. Two projects developed recently by the Professional Development Program (PDP) have received APEX Awards of Excellence for Education and Training in the Electronic and Video Publications category: the Tobacco Recovery Resource Exchange e-Learning Hub, and Preventing Shaken Baby Syndrome, an e-learning course. 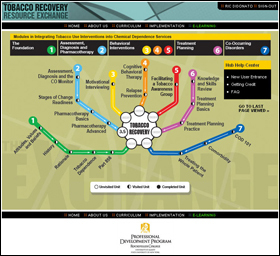 The Tobacco Recovery e-Learning Hub, which is available at www.tobaccorecovery.org, provides 26 hours of free online training aimed at giving chemical dependence service programs the knowledge and skills that staff need to provide tobacco dependence education and treatment interventions to their patients. Developed under contract with the NYS Office of Children and Family Services, the Preventing Shaken Baby Syndrome course, alerts NYS child care professionals to the signs and symptoms and potentially life-threatening consequences of shaking a baby. The course can be accessed at http://ecetp.pdp.albany.edu/elearn.shtm. APEX is the Annual Awards for Publication Excellence Competition. It is open to communicators in corporate, nonprofit and independent settings. This year marked the 22nd annual APEX, which began in 1988. APEX is sponsored by the editors of Writing That Works, a bimonthly newsletter for communicators who write, edit and manage business publications. Writing That Works is published by Communications Concepts, Inc., providing problem-solving information to professional communicators since 1984. PDP has received a bronze award from USDLA. PDP has received a bronze award in the category of Best Practice in Distance Learning Programming from the United States Distance Learning Association (USDLA). The USDLA Awards were created to acknowledge major accomplishments in distance learning and to highlight those distance learning instructors, programs, and professionals who have achieved and demonstrated extraordinary results through the use of online, videoconferencing, satellite and blended learning delivery technologies. USDLA is a 501(c) 3 non-profit association, founded in 1987, as the nation’s leading distance learning organization. The associationreaches 20,000 people globally with sponsors and members operating in and influencing 46% of the $913 billion dollar U.S. education and training market. USDLA promotes the development and application of distance learning for education and training and serves the needs of the distance learning community by providing advocacy, information, networking and opportunity. Distance learning and training constituencies served include pre-k-12 education, higher and continuing education, home schooling as well as business, corporate, military, government and telehealth markets. The USDLA trademarked logo is the recognized worldwide symbol of dedicated professionals committed to the distance learning industry. PDP received the award for a suite of online modules created for the Tobacco Interventions Project, a two-year project funded by the NYS Department of Health aimed at training chemical dependence service programs to implement tobacco-free environment policies and to provide tobacco dependence education and treatment interventions. The project also included design and development of classroom training and technical assistance for programs licensed and or funded by the New York State Office of Alcoholism and Substance Abuse Services (OASAS). The “OCFS Juvenile Justice Information System” is designed to enhance and automate case management features surrounding juvenile justice youth in care. PDP has been involved in the project since its inception, providing needs assessment, curriculum development, quality assurance, classroom and online training delivery, technical assistance, and evaluation services on the system and its precursors, including the Juvenile Detention Automated System and the Case Management Automation Project. The “OCFS Commission for the Blind and Visually Handicapped Consumer Information System” is a paperless system which transformed the Commission for the Blind and Visually Handicapped’s (CBVH) operations and business functions. The system links CBVH with 18 private agencies in their efforts to provide services relating to vocational rehabilitation, employment, children’s services, and independent living for citizens with varying degrees of visual impairments. Jason Morris and Daria Albini accept the award. On September 12, the New York State Office of Temporary and Disability Assistance web site received a "Best of the Web Award" from the New York State Forum in the State Government category. This is the second year in a row that a site designed and maintained by PDP has won the award, which recognizes the innovative use of web technology by state and local governments. To be eligible for consideration, sites had to be functioning at the time of the nomination and had to be in compliance with the OTF Statewide Technology Policy P04-002 and Mandatory Technology Standard S04-001. A panel of judges reviewed each of the sites nominated. Evaluation criteria included innovative use of technology, value to the client, and cost efficiency to the agency. In presenting the award, Jim Costello, Web Application Developer, for the Center for Technology in Government, said: "The sites nominated for this award are more than just good web sites; they truly provide much, much greater value. The number of people reached, the thousands of dollars saved, the importance of the services provided are all impressive, above and beyond the technical and design achievements, which are equally impressive in their own right." PDP has been responsible for webmaster duties associated with the site since its launch in 2001. The site was redesigned in 2007 to conform to evolving standards for web development, and to increase its technical efficiency and usability for the target audience. It currently receives over 200 thousand unique visitors each month, and comprises mirror sites in Spanish, Russian, Chinese and Arabic. Daria Albini, Program Outreach Specialist for OTDA, and Jason Morris, who serves as webmaster for the site, accepted the award for OTDA and PDP. Training Space, an online training resource for New York State Social Services staff that was developed by PDP for the New York State Office of Temporary and Disability Assistance (OTDA), was honored recently with a New York State Forum's "Best of the Web" Award. Each year, the New York State Forum of the Rockefeller Institute of Government recognizes the outstanding work done by state and local government agencies in the area of information resources management. Training Space was one of four award winners in the "Best of the Web" category and was singled out as a model for state agencies who want to pursue online training for their staff. Training Space was also lauded for its impeccable accessibility features, a main focus of New York State Forum initiatives. In presenting the award, Paul McGuire, co-chair of the New York State Webmasters' Guild, remarked that Training Space was the only web site evaluated for the award that met every single criteria for accessibility. 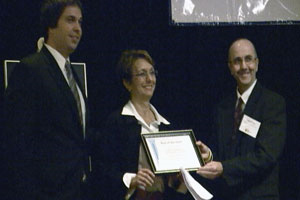 Will Zwink, Director of OTDA's Bureau of Training and Management Analysis (TAMA) accepted the award at the New York State Forum's Annual Meeting on September 14, 2007. PDP's Instructional Technologies Unit, which developed and maintains Training Space, was represented by Rebecca Stanley, Dan Feinberg, Bryan Sotherden, Ric DiDinato and Ed Skawinski. TAMA Contract Manager, Dawn Abbey, was also present to celebrate the accomplishment. Training Space is a joint effort of PDP and OTDA's Bureau of Training and Management Analysis (TAMA). Training Space provides self-paced interactive training modules, recorded videoconferences, blended learning materials, resources and communities of practice micro-sites for the NYS Office of Temporary and Disability Assistance, the NYS Office of Children and Family Services, and for staff in local social services district offices in 58 counties. 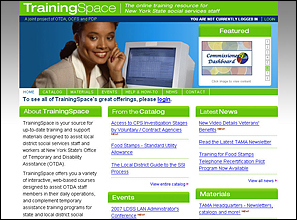 Training Space was launched in mid-2005, but underwent a significant redesign in March of 2007 to accommodate an increase in usage and variety of resources available on the site. The new design incorporates many "Web 2.0" features, such as user communities, blogs and discussion boards, targeted towards specific local district staff. Training Space is available at: http://www.trainingspace.org. State IDlogin is required to access all that the web site has to offer. 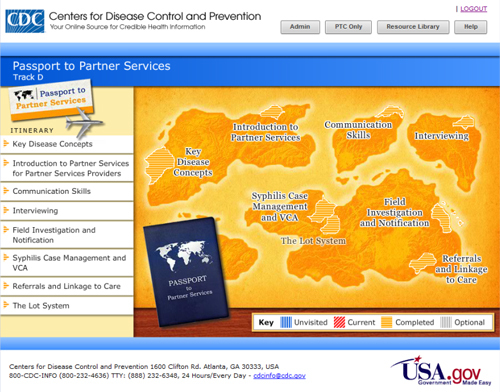 A course developed by PDP’s Instructional Technologies Unit (ITU) was recently awarded a silver National Health Information Award for “Health Promotion/Disease & Injury Prevention Information” in the World Wide Web category. 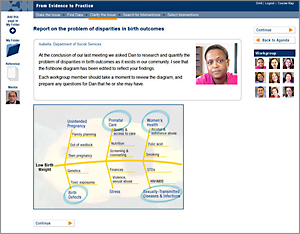 The award was given for design and development of "From Evidence to Practice: Using a systematic approach to Address Disparities in Birth Outcomes.” The highly immersive course teaches learners how to find and evaluate research articles and use published evidence in addressing specific public health problems. Dan Feinberg, an instructional designer in ITU, was project lead for PDP, which develped the course in partnership with the New York State Department of Health, and the University at Albany School of Public Health. It is available to the public at http://www.ebph.org. The National Health Information Awards is a program that recognizes the best health-related content for consumers and professionals. It is the largest awards program of its kind in the United States, receiving nearly 1,000 entries annually from hundreds of different organizations. "From Evidence to Practice" received the second highest award in its category, and was the only program not run by a federal agency to be recognized.